The Faculty of science of the University of Geneva is an internationally top-ranked scientific institution covering a broad range of scientific disciplines: Astronomy, Biology, Chemistry and Biochemistry, Earth Sciences, Environmental Sciences, Computer Sciences, Mathematics, Pharmaceutical Sciences and Physics. It has a strong focus on research and hosts three National Centres of Competence in Research of the highly competitive Swiss National Science Foundation (Frontiers in Genetics; MaNEP; Chemical Biology) and many European collaborative research projects. The Masters of the Faculty of Science constitute an ideal entry for high-level professional and academic careers. The Faculty of Science, in collaboration with several sponsors, has established an Excellence Fellowship Program to support outstanding and highly motivated candidates who intend to pursue a Master of Science in any of the disciplines covered by the Faculty. Admission criteria can be consulted on the relevant Master Web pages. French proficiency is not a formal requirement for the Masters of the Faculty of science. A two-page essay in which the applicant describes his/her specific scientific interests, specifies the Master’s program at the Faculty of Science he/her would like to pursue, and motivates the intention to pursue a Master of Science programme at the University of Geneva. In parallel, each student has to fulfill the enrollment procedure as described on the DIFE website. 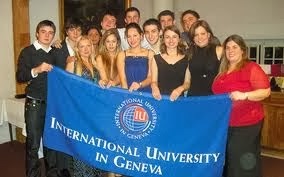 Demikianlah informasi mengenai Excellence Master Fellowships, University of Geneva, Switzerland semoga berguna bagi anda.